Joseph Lewis Heil, author of the award winning novel, The War Less Civil, welcomes you to his website. 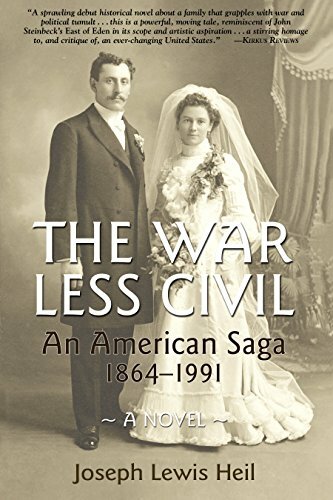 In 2012, the prestigious Faulkner-Wisdom literary competition named The War Less Civil a finalist in the novel category. The novel's main, overarching theme is anti-war, told through multiple generations of an American family struggling to survive and prosper in a divided and changing nation. 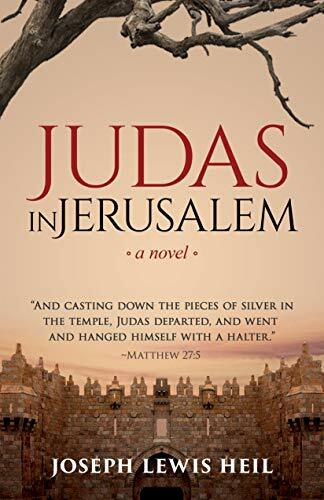 Mr. Heil’s second novel, Judas In Jerusalem, imagines the stunning and tragic fall and degeneration of Judas Iscariot, the so-called betrayer of Jesus. Mr. Heil’s novels are available for sale in paperback editions on this website. Both books are available as e-books at Amazon. A sprawling debut historical novel about a family that grapples with war and political tumult.
. . . this is a powerful, moving tale, reminiscent of John Steinbeck's East of Eden in its scope and artistic aspiration.
. . . a stirring homage to, and critique of, an ever changing United States. Mr. Heil’s second novel was released in October, 2018.